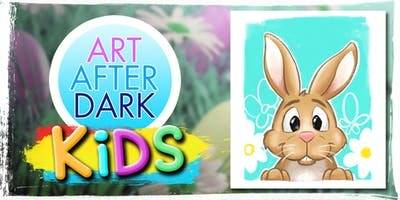 Art After Dark Kids Event! Art After Dark has created the kids and parents’ events so they can be creative and paint together. Parents are usually on the sidelines watching or waiting while their children participate in extracurricular activities. We wanted to create an event where parents and children can bond and do something fun together in a constructive atmosphere! Attendees can and are encouraged to add and change whatever they like in the painting. Join local artist and Illustrator Tyler Dianocky as he guides you through this painting of this cute painting of an Easter bunny! We will learn how to sketch out own Cartoon Bunny and painting techniques used by the greats. This painting is done on a 11X14 inch gallery framed canvas. Get ready for a FUN afternoon of painting, creativity, entertainment, laughs, great music and food. The Celtic knot has featured food snacks on Friday. Come early for lunch. There are three main parts to this painting.